I'm playing with the last chapter game, cf. 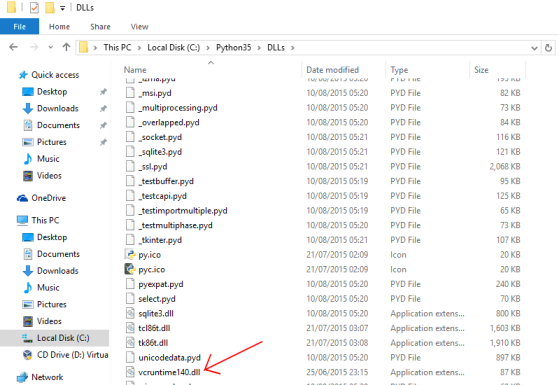 the stickmangame7.py file. I'm a little confused about how the key presses are expected to cause the character [to] move. If the player hits the right or left key, the character starts moving but keeps moving and doesn't stop unless [colliding] against a wall or a platform. Even jumping on a platform doesn't cause the stick figure to stop. This makes hard to climb to the top parts of the area. Is it the expected behavior of the game ? So with these changes the game starts and the stick man won't move. When you hold the left or right key down, the x variable is set to -2 or 2 respectively which starts "him" moving. When you release the key, it sets the value back to 0, which stops him moving again. You might notice one slight problem when running the game after this change - the stickman starts quickly and then slows down. This is caused by the keyboard repeating which then impacts the performance of the mainloop function in the Game class. This is an unfortunate side effect of the way the code for the game is written (the stickman code is not the standard way to handle animation with tkinter -- however it was written this way to hopefully make animation concepts, in programming, slightly easier for a child to understand). RESTART: C:\Users\rf\AppData\Local\Programs\Python\Python36-32\Files .py\paddleball.py Traceback (most recent call last): File "C:\Users\rf\AppData\Local\Programs\Python\Python36-32\Files .py\paddleball.py", line 33, in <module> ball.draw() File "C:\Users\rf\AppData\Local\Programs\Python\Python36-32\Files .py\paddleball.py", line 15, in draw self.canvas.move(self.id, self.x, self.y) File "C:\Users\rf\AppData\Local\Programs\Python\Python36-32\lib\tkinter_init_.py", line 2585, in move self.tk.call((self.w, 'move') + args)_ _tkinter.TclError: invalid command name ". !canvas"
...and the red ball gets "stuck" at the top "jiggling" but not bouncing or returning down as it is supposed to. I cannot figure out what the problem is. Can you help? By the way, you can ignore the error message -- that has nothing to do with your code. When you close the game window, your program is still trying to call the move function and so you get an error message because the canvas no longer exists (effectively). This is Xing Yanchao from the city of Qingdao, Shandong province, China, a big beautiful coastal city with 7 million citizens. I'm very interested in teaching kids to program, and plan to choose your book as the teaching material (In Chinese, ^_^). The kids may be between 8~12, how many hours do you suggest for us to finish the whole book? I think at least an hour a chapter for Part 1 of the book, but the chapters on functions, modules, classes and objects will probably take a bit longer. 12-15 hours is probably reasonable to cover most of Part 1 in a classroom setting, especially considering there should be a bit of time for kids to play around and try things for themselves, rather than following it exactly. Learn through play is important, particularly with a subject that can be pretty dry. Parts 2 and 3 are more difficult to estimate. I would actually suggest to just use Part 1 in the class, then let the kids come up with projects for themselves, and use the last two parts of the book as a reference (for example, let them create something for themselves, but use chapters 13-18 to figure out some of what they decide to do). Just a thought. 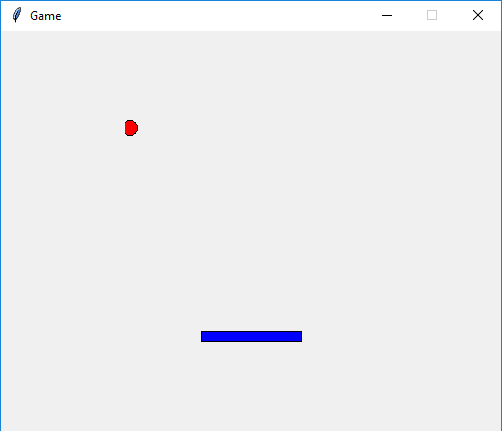 I tried out the code for the two games and have successfully run the first game (bounce). The second game however did not run like how i wished it to. I followed the book’s instructions to the letter, used the GIMP software to create the images, saved it in a directory and saved the code in the same directory. The graphics came out fine but unfortunately I have not been able to get the stickman to move. I have followed the coding in the book to the letter and have checked my code against the coding in the book multiple times and i can see no mistakes. ...hopefully you'll see where you've gone wrong (if it's not immediately obvious, take a look at the vertical line coming down from the animate function in each of the code samples, and you'll see where the indentation isn't right). When I fixed the indentation on your code, it worked perfectly -- so you were almost there. Each time the value in i is (effectively) replaced with the next value in the list (it's actually not quite as simple as that, but it can be easier to think of it that way when you start programming). When I load it into IDLE, I get a blank canvas, and I can't close it, I have to restart the shell. 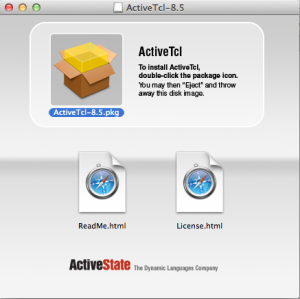 I have installed the proper ActiveTcl version (8.5), and no longer get the message giving me errors on startup. 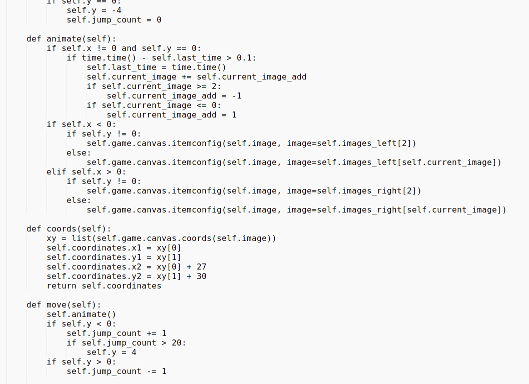 When I run the previous code I was playing with (page 174), the canvas pops up and it all works again. 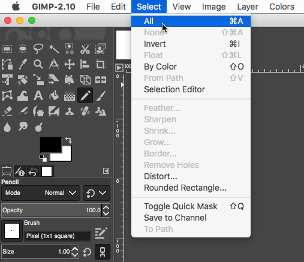 Weirdly enough, the color picker pops up unprompted! I noticed that it does not bring up any buttons that appear in your book: [OK] [Cancel]. 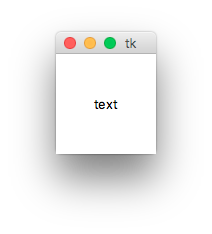 That's a bit of a gap in the book, because it doesn't make it clear that you need to create an instance of the top-level Tk widget first, before running that particular example (using tk = Tk()). So the first time you run this function: colorchooser.askcolor(), it's hanging, waiting for something that isn't there yet. Then you run the code on the previous page (which does create the Tk object), and that's when you suddenly get a popup dialog with the colorchooser in it. When you run that, you should then get the colorchooser dialog immediately. Update #1: One step I missed, is a call to tk.update(), which forces tk to update the screen. Once that's executed, the chooser will appear. The example is updated above. Update #2: On Windows you need to explicitly import colorchooser for the code to work properly (example updated again). I have a question I am sure I don't know :) In tkinter I am creating a game and can't figure out how to set dimensions for text. I need it on the middle. My canvas is 1000 by 1000 so I divided in half. Which is of course 500. Now again, my question is how to put it there. I purchased your book Python for Kids so that my 11 year old daughter and I could start to learn code together. We are trying to install Python on her (lenovo 100S) chromebook to no avail. 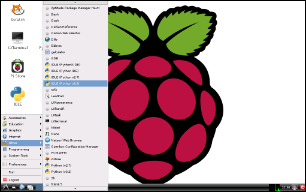 We followed several prompts and purchased a python shell which has been installed but can not figure out where to go from here, or if this will even be possible. Any advice? As far as I'm aware, the Python shell extensions available in the Chrome OS store aren't Python 3 compatible - so at least from a version perspective, that's a non-starter. Even if the version was correct, I suspect your mileage would probably vary with some of the later code examples in the book, using that sort of environment (not a fully fledged installation... again AFAIA). I don't have a Chromebook to try it out myself, but from a bit of searching, it looks like you can dual-boot Linux, and after that should be able to install anything you like (http://stackoverflow.com/a/15261253/2685350 - although Samsung-specific, I would hope the basic idea still applies). 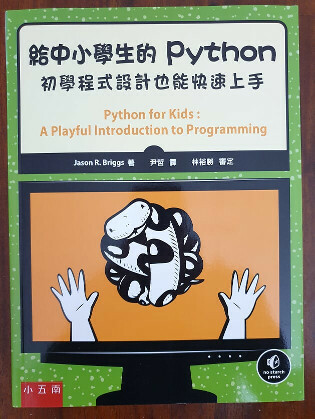 I bought this great book "python for kids". I want to give it as a gift to kid in India. She doesn't have internet, but has a computer. What do I need to download and give in a pendrive, so that she can finish the book without an internet connection. Apart from the book itself, there's two extras to download: 1 - the solutions to all the programming challenges at the end of each chapter, and 2 - the code samples in the book (in case she has difficulty getting something to work). The solutions are available from the publishers website here: http://nostarch.com/pythonforkids. 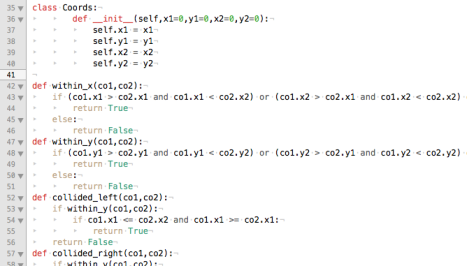 A zip file of all the code can be found here: /python-for-kids/code.zip. Depending on when you purchased the book, you might also want to take a copy of the eratta. If it's a fairly recent reprint, there's no need. If the printing is before April 2015, then you should probably send that to her as well. You didn't mention whether she already has Python installed, so if not, I suggest reading the first chapter yourself, so that you can include the right installation files for her OS. I can't figure out what this parameter is for, and why it's there since there is no value passed on to it. Please help me understand why "evt" is needed for those functions. The evt parameter isn't brilliantly explained in that chapter, now that I look back at it. If you go back to the section titled "Making an object React to something" in Chapter 12, there's a description there of event bindings. The function described takes a parameter called event. After you've "told" tkinter about the function (that's the binding part), when an event occurs (such as the mouse being moved, or keyboard being pressed) it calls that function with an object containing more information (such as what sort of event it was). The parameter evt on page 208, is simply a shortened name for the parameter event mentioned in the earlier chapter. In fact, the name isn't important at all -- you could even call it bob, or aardvark, or anything else you like. By the way, another way of thinking about the tkinter event binding is that it's like a contract between two people. Let's say between a surfer, and an old man living on a cliff above the sea. The surfer says to the old man, "send me a message and let me know how high the surf is, whenever it changes". The function is that contract, and the message about the surf is the parameter value. 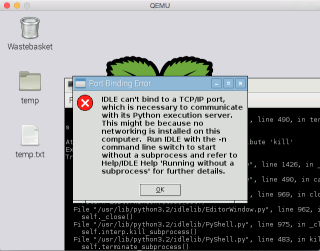 I got a confusing error from the Python 3.4 (command line - 64 bit), it shows me this: "NameError: name 'collided_left is not defined'" , I have checked my code over and over again and I can't find the error. Could you help me to check my code when convenient? These sort of errors are (luckily) fairly easy to figure out. Any time you see an error about something not being defined (and you're sure you've got the spelling correct) you can usually trace it back to a mistake in how you have indented your code. 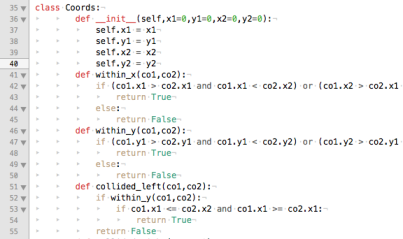 Your within_x, within_y and collided_ functions are all indented to the same level as the __init__ function of the Coords class -- in short, Python looks at them and thinks: "those are indented the same as the init for the class, therefore they must be member functions of the same class". First of all thank you for writing "Python for Kids". It's a great book and offers "instant gratification". 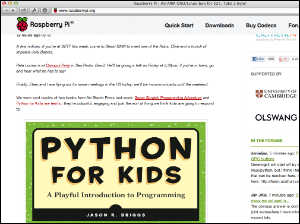 My 8-year-old is already hacking his way through the pages on his brand new Raspberry Pi. He (we) ran into a bit of trouble when we started playing with Tkinter. Your initial examples don't ever call mainloop() or update(). Turns out, on the Raspi, in IDLE, those examples don't work as expected - nothing appears on screen. Until you run mainloop() that is. Could you throw any light on why things work without calling mainloop() on some setups but not on others? Only after going through the above, did I remember that there was an issue with IDLE & tkinter on Python 3.2 (when running without -n). And sure enough, when running with 3.2 on my PC, I get the exact same problem (it doesn't occur with later versions of Python). Best thing you can do, is to run IDLE with the -n flag - the turtle/tkinter code you run will be more stable as a consequence (and there's no need to call mainloop). I have recently bought your book, Python For Kids and I think it's great and easy to understand except for one small thing. I do what it says, I click run module, but I get this error: I'm new to this, so I probably made some extremely stupid mistake, and i'm sorry if this is the wrong place to ask. When I enter your code, I get the same error. But once I click OK, in the editor window I see the following: That red highlight, on the third line down, shows you on where the error has occurred - and hopefully gives an idea about what might have gone wrong. In this case, Python isn't expecting a bracket at the end, because you've got one earlier in the line: print('%s Twinklebottom heath') % spaces). If you remove that bracket (it should look like this print('%s Twinklebottom heath' % spaces) ), you'll find the program runs as expected. 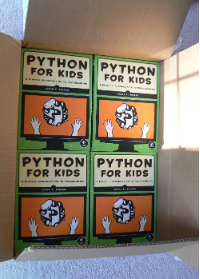 I just purchased 3 copies of "Python for Kids" so that my 2 sons and I can begin our quest! Anyway I hate to bug you with this but we just downloaded the latest version of the Python suite and the –n switch for IDLE startup has a message about "being deprecated since version 3.4". Is there another startup scheme that we should use instead? Also what do you recommend, in addition to the fine book, to enhance the learning process? My sons are middle-school age and very math/science savvy. I have a hardware engineering background but no programming to speak of. The -n switch is deprecated, but not yet removed. So it still works fine with that switch for the moment. I did see some discussion about it on one of the Python mailing lists (forget which now) but I don’t think there was a conclusion about what happens in the future with something like IDLE and the use of tkinter (perhaps someone else reads this and lets me know - in which case, I'll post their message here). In any case, safe to use. In terms of enhancing the learning process, I'd say once they've gone through the book (at least covered the basics of programming) picking a project is a good idea. Static learning is fine up to a point (even working through examples in the book), but what really cements the learning process is finding something you actually want to work on. It doesn't matter what sort of project, game or otherwise. As long as it's something your boys are interested in (also think about things like the raspberry pi and robotics and so on — since you've got a hardware background that'll be a useful crossover). First, let me say that I am having a great time learning Python from Python for Kids, even though I am just a kid at heart. I'm an old, old guy (I'll be 52 in April), but my students keep me young - I've been teaching high school mathematics for 25 years, and I am finally getting around to checking "Learn Python" off of my to-do list. Here's the problem. All of my code has been running fine through IDLE until I got to the chapter on IF statements. When I typed into IDLE the first example from Chapter 5, page 54, nothing happened - the string 'You are too old!' (coincidence?) was not returned. All of the other examples involving IF's lead to the same result - nothing. I thought I would give it one more try, just to be sure. When I did, I accidentally hit enter twice, and the desired output appeared. I feel good that it worked, but why should I have to hit enter twice? So there's nothing you're actually doing wrong here. When you hit enter after typing the second line (the print part), Python is just waiting for the next statement in that block of code. Python uses white-space for the program structure, so the only way it knows you've actually finished that particular block of code, is when you hit enter again on the next line. So Python only runs the code once you've actually said you've finished... and the way you say you're finished, in this case, is to hit enter on an empty line. Do you know where to learn Python? I've been searching and I've only found Codecademy. I'd be very happy if you know where to go from Python For Kids. All kind of learning would be great. I also downloaded an IRC bot, and I've translated it to my language. I've been looking the code and learning a bit. Once you've mastered the basics of programming, my suggestion would be to find a small project to work on. Rather than looking at other people's code, or reading another, more advanced book, try creating your own version of an application you're interested in. It should be challenging, but not impossible. For example, when I was younger, I learned a new programming language by creating my own version of Tetris. You'll hit problems you don't know how to solve, so you'll end up reading the Python documentation, or googling to find the answers, or asking questions on sites like StackOverflow. But that's the one of the best ways to carry on learning (in my opinion). I'm twelve and I recently got a raspberry Pi camera module. 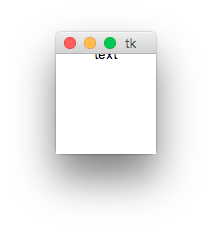 I really wanted to do stop animation with it but, when I used Tkinter to make a button it would take a picture when I pressed it and save it as I specified. The problem is if I wanted to use the button again it deleted the old image ex image.jpg and replaced it with a new image (image.jpg). Do you have any suggestions of how to change the code so it will name the photos numerically. Ex image1.jpg then image2.jpg. I'm doing all this in idle3. Thanks a lot for the book. "Python for kids" is great. By the way, you can find more about embedding values in strings in Chapter 3, and classes and objects in Chapter in Chapter 8. 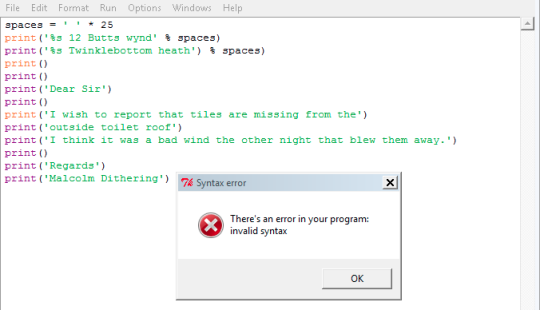 When I enter code into the compiler I continue to get multiple statement error messages. Even if I copy the code from the book. I use Idle 34 on windows professional 7. This is what I typed into the Idle Shell. I searched online but it's not an indent error. I'd appreciate any help. I bought your book Python for Kids with the intention to teach my son Python later on but have now been using it myself to learn Python as I find your book to be quite comprehensive even if it was 'for kids'. I've been doing the Bounce tutorial and would like to find a way to add a restart button so that each time the game ends, the player can restart the game if they want to. I've applied the codes for Game Over but would like to add a restart button after that. How to tie in the button so that it restarts the game when clicked? I've been trying out codes from forums and blogs but they don't seem to work or are too hard to understand. There's a few ways you can handle the restart. If you look at the programming puzzles in Chapter 14, the first challenge is to delay the game start using the <Button-1> binding to tie a mouse button click to a function which starts the game. You could adapt that function to also restart the game once it's over. That's probably the most seamless approach. If you really want to use a button, you need a way to add it just once -- because where you've added it (inside the loop), you'll get one button added to the window for every iteration of the loop. After the loop finishes isn't really the right place either. The command associated with the button is the function on our Game class called restart - this is the guy that takes care of hiding the game over text, putting the ball and paddle back in their starting positions, and so on. I'm new in programming. I just want to know if it would be too hard or complicated to use Python 2.7 with the Python for Kids book? 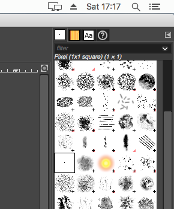 I am still practicing for a class I took with v 2.7. Can I have both IDLE 2.7 and 3 in the system and use them separately and not run into problems? Thank you. Most of the examples in the book will work with Python 2.7 -- but some won't without modification (particularly anything using the tkinter module). And you may hit subtle problems which will be harder to figure out as a consequence. However, you can install both Python 2.7 and 3 on the same system (you didn't say, but I'm guessing you're using Windows -- after installation, you'll find you've got both c:\Python27 and c:\Python34 directories, assuming you install the latest Python version, on your hard drive) -- just make sure you select the correct directory when setting up the IDLE shortcut (described in Chapter 1). Is The Animation Loop Necessary? I'm currently working through your book and enjoying it immensely. The following is baffling me though, so hoping you can help. In Chapter 13, page 197 (after creating the ball object), you wrote: "If you run this program now using Run>Module, the canvas will appear for a split second and then vanish". You then go on to write about how its necessary to add the animation loop to stop this happening. My window appears and draws the ball correctly, but does not vanish. Reading through the code I don't understand why it's expected to disappear either. This seems to be a key point so would be grateful if you could shed light! I'm running Python 3.4.1 by the way. You've found an error in the book, I'm afraid. If you run the code using the Python console (try it by opening a command prompt, or terminal, and running python bounce.py), the window will indeed appear and vanish. The basic idea is, there's nothing left for it to do, so no reason for the window to remain open. 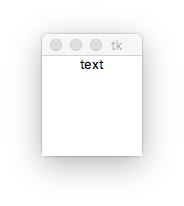 That's the reason for adding an animation loop of some kind (in the book I use a very basic while-loop, but tkinter also has a mainloop function for doing this). However, when you run the same code with Idle (the Python Shell), which is written using tkinter, the window remains open because there's already a main loop running (started by the Shell itself). So the book is both right and wrong, I guess, depending on how you want to run the code. The errata has been updated accordingly. Thanks for the "bug report". I can get python to launch the other ways, but then turtle doesn't work. This had me stumped for a moment (couldn't find any similar errors when I googled). On page 12 it says File>New Window but I cannot find it on our Windows version 3.4.1. Please advise. It looks like, as of Python 3.4, they've changed the menu, so File->New Window has become File->New File (which makes the Shell consistent with other text editors, at least). 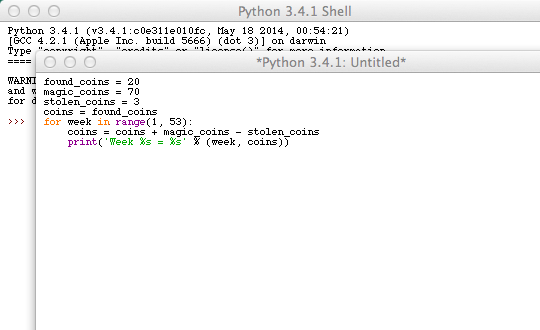 It still has the same behaviour though - opening a new window for typing in your Python code. Please share some advice. Thanks. I have a question. You use % for format instead .format(). In the python tutorial, it is written that % format is an older version of format. What's the point of using % format? The book uses the % operator (also known as the interpolation operator) basically through omission more than anything else. The first electronic version was written for Python2 (back in 2006/2007), then updated to be compatible with both 2 and 3. 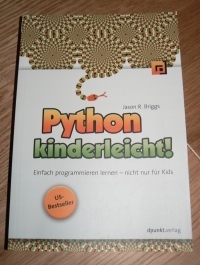 While it was almost totally rewritten, to be published as "Python for Kids", some of the existing text was repurposed -- however, the string formatting section wasn't specifically updated for Python 3. I suspect that's somehing we should probably fix when/if it's reprinted again. By all means, use the format function as detailed in the Python documentation. I am currently testing your book on my girlfriend who is not a kid anymore but a person that has not written any code in her entire life. To assist her better I have read the whole book. I think I spent my money well when I bought it. Still, I have some questions and remarks. 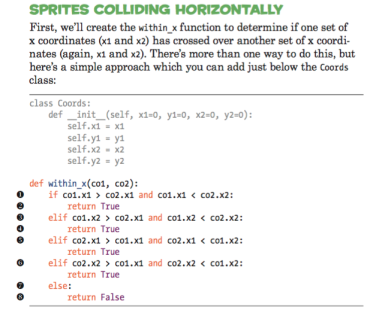 Well, there are a heap of online tutorials, and dead-tree, printed books to choose from. However, I have an alternate suggestion to further reading. Once you've learned the basics, why not pick a project? Find something you want to create - whether that's a game, a desktop application, a website or something else - make sure you have the Python documentation bookmarked, and a search engine to hand, and start working on it. You can't beat actually coding for improving your knowledge and ability. Let's say you decide to write a program to send a message from one computer to another, on your home network. That might lead you to the socket module in the Python modules documentation. Assuming you find that too opaque, you might search for a "python networking tutorial" or perhaps a "simple python socket example" - but either way, the investigation, and putting that information to work in a program of your own will be a much more valuable learning experience than just reading a dry chapter about networking in some resource. I teach gifted elementary-aged students in Albuquerque, NM. A few of my students and I have been working through your book. We have limited desktops in our classroom, but we also have access to several iPads. In researching the various apps available, I’ve realized that most (if not all?) do not include the _tkinter module. To be honest, I’m rather new to programming myself! Do you have a recommendation for an iPad app that would be appropriate for students using your book? Thank you for your time and your ability to clearly explain the basics of Python! I'm afraid I don't know of any way to use an iPad for Python, other than by jail-breaking the device (and even then I have no idea whether tkinter would work anyway - I think unlikely). The only thought I had was whether you could use the desktop PCs in your class to run multiple VMs (using something like VirtualBox) and then connect to those using a Remote Desktop App for the iPad. Not straightforward to set up, but it might accomplish what you want (assuming the desktops are reasonably powerful of course). Sorry I can't be much help there. Update: since sending my initial reply, I came across this discussion, which explains why you're not likely to see tkinter on the iPad anytime soon. I recently started the section on "For Loops" and am somewhat confused about something. 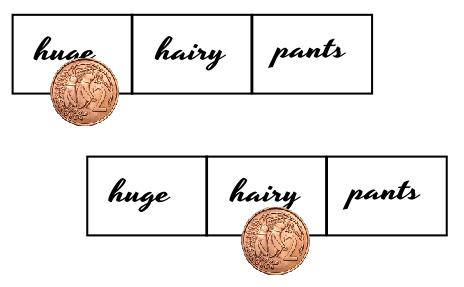 The section (page 55) runs a loop for "HugeHairyPants." I setup the loop as you indicated and actually understood the result just fine. This loop doesn't seem to follow the same progression of the other loop or maybe I just don't understand it correctly. I figured it would print a variable from i and then j and then print the full loop of items in k, but it doesn't seem to do that. If you have a moment, could explain how this loop would work? 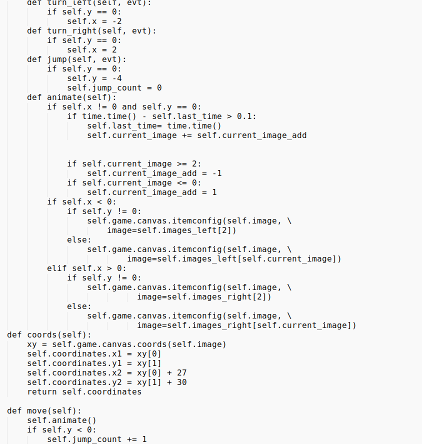 So loop 1 outputs the list once, loop 2 outputs the list three times, and loop 3 outputs the list nine times in total. Quick question regarding the -n used in the shortcut for IDLE. I realize that it starts IDLE with no subprocesses, but what does that mean and why do we want to do it? For the purposes of Python for Kids however, all you really need to know is that certain graphical libraries (such as turtle and, I seem to recall, tkinter) will exhibit weird behaviour (such as locking up/hanging) if you don't run IDLE using the -n switch. There is nothing that pops up! I am frustrated and need help! Please help, me and my father are new to linux by the way and don't know what to do. 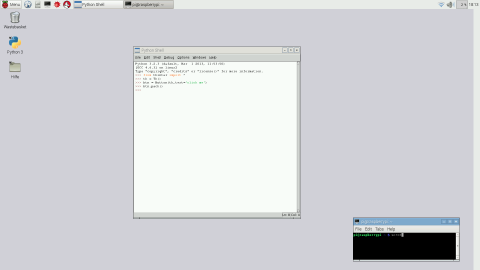 Ben is using Debian Linux on his Raspberry Pi. After a bit of to-ing and fro-ing, we eventually found that tkinter was definitely installed, but it looks like (according to this stackoverflow question that his father found) the tkinter window doesn't appear unless you use: tk.mainloop(). Python does not install on my computer, and I'm not sure why. Everything works fine until you get to the part that says "Please wait while the installer installs python..." After about half an hour, a little window pops up that says that the installer is no longer responding. According to this page... http://superuser.com/questions/168561/python-wont-install-on-windows-7... you should try disabling UAC. I'm not a home Windows user, but a quick google found this: http://www.howtogeek.com/howto/windows-vista/disable-user-account-control-uac-the-easy-way-on-windows-vista/. Hopefully that fixes the problem. Apparently Python for Kids is featured in O'Reilly Media's "Learn to Program ebooks" promotion (save 50% on introductory programming ebooks). More details can be found here. A partial solution to the Lunar Lander 'Programming Puzzle' has just been posted. However, when I copied the code from your website, it worked perfectly. I put my code and your code side by side and I cannot seem to figure out where the mistake is. Can you help me figure this out. So in your code you've got a single underscore on either side of init - which explains the error you're getting. Because you haven't defined the __init__ function correctly, Python assumes a default with no parameters. Fix that, and the code should work as expected. Good luck! 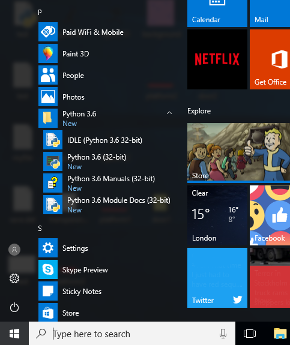 I have a Windows 8 PC, and have installed Python 3.3 onto it, and worked my way up to the last part of chapter 9 in your book with no major problems. But now I am stuck in the last part of chapter 9. The first time I tried to save a notepad txt file to the C: location, access was denied, because the user account I was using was not the dominant user account. I fixed this by running the notepad as the administrator, and was able to save the txt file to the C: location. Opening and printing the contents of the txt file worked fine after that. My next problem (and still is a problem) was writing to the text file. The first error message said access was denied. I fixed this also by going to the administrator's user account and allowed the user settings I was working on to have almost complete control over all the C: location. Now when I try to write to the txt file, I get a different error: "OSError: [Errno 22] Invalid argument: 'c:\myfile.txt'. Please help me! Hi Evan. The final error you're getting is generally caused by an invalid filename (for example, if you had two colons rather than one) - but I don't see that problem in the example you sent. So I'm not quite sure what's gone wrong there. In terms of the example in the book, I've added a new entry in the errata (see the section Page 123). The directions should instead tell you to save the file to your user directory - something like: c:\\Users\\Evan - rather than to c:\. Check the errata and hopefully that should work for you. But you'll probably hit problems if you try to call the askcolor function (the second line in that snippet of code above). All of which is rather messy and confusing. My suggestion would be to make sure you see the "No Subprocess" message when you run IDLE, and if not, revisit Chapter 1. If you do see the message on startup, and still get the error (which I haven't managed to do, but I'm guessing might be possible), try the sample code above, and see if that works for you. Good luck! I'm 13, I live in the US, and I just finished reading your excellent book "Python for Kids". After I finished the book I had two questions. First I was curious if it is possible to put a python game on a website to play? The other question I had was what was the hardest project you have ever worked on, how long did it take you, and what language was it in? In terms of hardest project, that's a difficult question to answer. I've worked on projects which were hard because the amount of code in the application was huge, and because there were a lot of "moving parts" - lots of communication between different systems. In terms of complicated systems, I recall one project (which I spent about 18 months on with a team of 8 or 9 people) where I had to write the code for very complicated graphical reports -- that was hard because I had to remember mathematics I learned years before (the programming language in that case was Java and some Python as well). 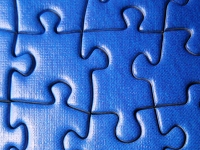 The solution to programming puzzle #6 has just been posted.